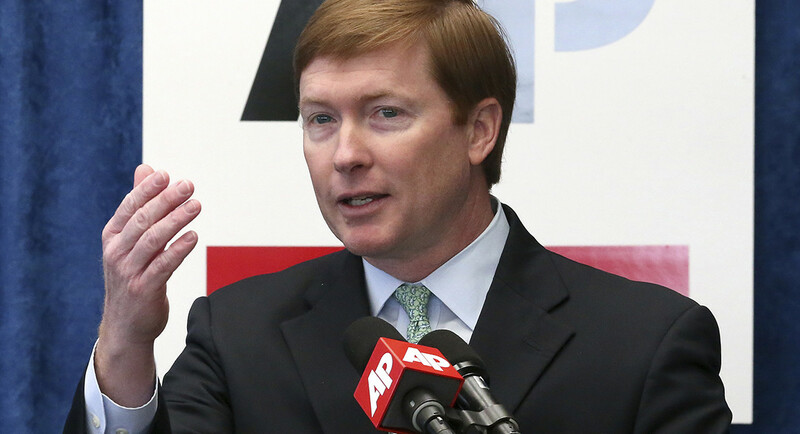 Controversial Republican Florida Governor candidate ADAM HUGHES PUTNAM is like a hog caught under a gate. TALLAHASSEE — Amid increased public scrutiny last month, Agriculture Commissioner Adam Putnam’s office quietly wrote an update admitting mistakes in a 2017 investigation looking at how his staff botched hundreds of conceal carry permit applications, issuing 291 permits that were later revoked. The "addendum" noted that two interviews conducted during the conceal carry gun permit investigation were listed in the report as being conducted under oath, but they were not. The addendum was finished June 28, but the document outlining mistakes made by Putnam's office was not released until after POLITICO reported on the issue Tuesday. “Wanted to make sure you had the Supplement to the Investigative Report, which the Inspector General’s Office created when the error in the report was identified,” Jenn Meale, the communications director in Putnam’s official office, wrote in a Tuesday afternoon email. She said the document acknowledging mistakes in the concealed carry permit investigation was not previously released because "no one requested it." A handful of media organizations, including POLITICO, and state Sen. Linda Stewart (D-Orlando) filed public records requests last month related to the investigation. “It’s unacceptable,” Stewart said. “The information is dribbling out in such a manner you can’t help but have suspicion as to what is going on." POLITICO asked Stewart about the investigation addendum after the department provided a copy to the news organization. Stewart was given a round of records related to the interviews not taken under oath in mid-June after filing two demand letters. Members of the media requested similar records but never received them from the department, which admitted Tuesday it had made a mistake. "It's amazing, every time I ask for something, they says 'Oops, we forgot that.' Now this?" she said of the department not giving her the June 28 addendum. "That's no way to do business." The issue has become a political thorn for Putnam, who is running for governor and has been considered the leading Republican candidate. When it was discovered a staff member in the Putnam-run Department of Agriculture and Consumer Services was not doing followup reviews of conceal carry permit applications, the person was fired and an investigation was launched. How Putnam’s office has responded since that time, though, continues to be scrutinized. In a statement issued through the department’s communication office, Inspector General Ron Russo defended the investigation he signed off on in June 2017.